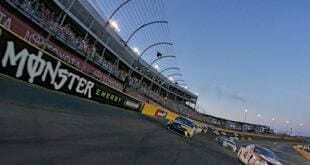 NASCAR’s Camping World Truck Series returns to action this weekend at Martinsville Speedway after two off weekends. 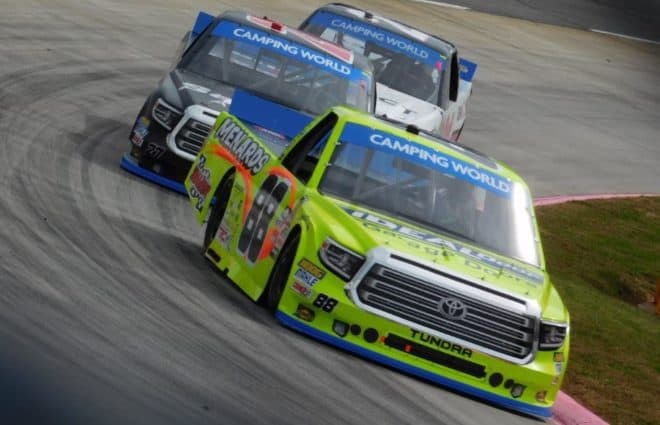 36 trucks make up the entry list for Saturday’s race, with several changes in store since the last event at Las Vegas Motor Speedway. Todd Gilliland might be the biggest new name on the list; the rookie will make his season debut in the No. 4 truck for Kyle Busch Motorsports. Gilliland has won the last two K&N West Series titles; he also made six CWTS starts last season. Gilliland scored two top fives and three top 10s in those events, earning a best finish of third at New Hampshire Motor Speedway. That was enough for KBM, who announced before the season that once Gilliland turns 18 in May, he will run full-time in the No. 4 while competing for Rookie of the Year. 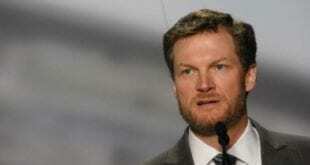 Other young drivers will be attempting to make their CWTS debut. Cory Roper out of Baytown, Tex. will attempt to make his first career series start in the No. 04 truck for Roper Racing. Reid Wilson will also aim for his first CWTS start running the No. 20 truck for Young’s Motorsports. Wilson has made eight career K&N East Series starts between 2016 and 2017, scoring a total of four top-10 finishes. Dawson Cram, a Mooresville, N.C. native, will attempt to make his series debut in the No. 50 truck for Beaver Motorsports. Both truck and driver will make their 2018 debut this weekend; Tyler Matthews will attempt his first CWTS race driving the No. 99 for MDM Motorsports. It was announced before the season he would run part-time for the team this year. Matthews was the 2015 state NASCAR Whelen All-American Late Model Series Rookie of the Year and the series’ 2016 state champion at his home track, East Carolina Motor Speedway. Matthews also won the 2016 Late Model season title at Southern National Motorsports Park and was the 2017 Late Model champion at Carteret County Speedway in North Carolina. Among the veterans, 2003 series champion Travis Kvapil returns to drive the No. 35 entry for NextGen Motorsports. Kvapil has made one start this season, suffering a blown engine in the season-opening race at Daytona International Speedway. Harrison Burton will make his 2018 debut in the No. 51 for Kyle Busch Motorsports. Burton is the defending K&N East Series champion and has made a total of seven career CWTS starts, earning a best finish of fourth at Martinsville Speedway last October. David Gilliland will be behind the wheel of the No. 54 for DGR-Crosley Racing, the first time he will drive for the team he owns. 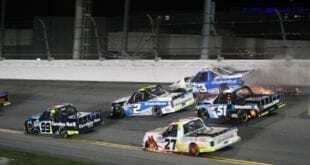 Gilliland’s last race was at Daytona for KBM, where he was caught up in a wreck and finished a disappointing 21st. Also of note, Kevin Donahue will be in the No. 63 entry for MB Motorsports this weekend. Donahue has seven career starts in the series, scoring a best finish of 20th back in 2016 at ISM Raceway out in Phoenix. Finally, series veteran Timothy Peters returns to the track this weekend driving the No. 92 entry for Ricky Benton Racing. Peters has been in and out of the series since last season when his full-time employer, Red Horse Racing, shut down operations. Peters has a stellar record at Martinsville, making the veteran an early favorite entering this weekend. He has one win and a total of 16 top-10 finishes in his 23 career Truck starts at the track. Opening practice takes place on Friday, March 23 at 11:05 a.m. ET with no TV coverage. The green flag waves on Saturday, March 24 at 2:16 p.m. ET with coverage on Fox Sports 1.